Every year, my husband and I go camping up at Lake Superior. It’s our getaway, but it always helps to take a few things to make the trip as fun as possible. When packing clothing, always look up the forecast for the area you’ll be camping in. You’ll want to dress for comfort, rather than looks. Keep in mind the weather can be unpredictable, as well. The last time we were at Lake Superior, we were camped right on the shore, and the air coming off the lake was very cold. 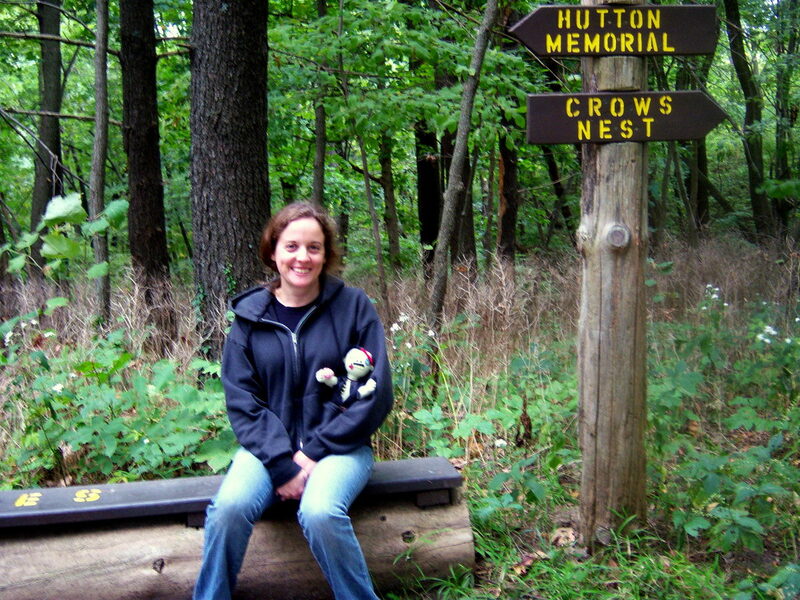 When we got on the trail, though, we warmed up considerably. Other seasons, it was extremely warm most of the time. I usually pack two pairs of shorts, three short sleeve shirts, one pair of jeans, one long sleeve shirt, three to four pairs of socks and two pairs of underwear per person. I manage to fit all of that into one bag with room to spare. It’s always good to have a spare pair of shoes in case the ones you wear get wet or damaged. If you’ll be wading in streams, take a pair of water shoes or sandals, as well. Hidden rocks hurt to step on, and may cut your feet. It’s always a good idea to pack at least one set of warm clothing, because the mornings can get very cold, depending on where you’re camping. Although people camp to get in touch with nature again, and may spend their days cavorting in the wilderness, a good night’s sleep is always required. You’ll at the very least need a good sleeping bag to curl up in. These bags keep you warm by trapping body heat close to your body. It should be long enough for you to comfortably stretch your legs out while tucking your head in the top. 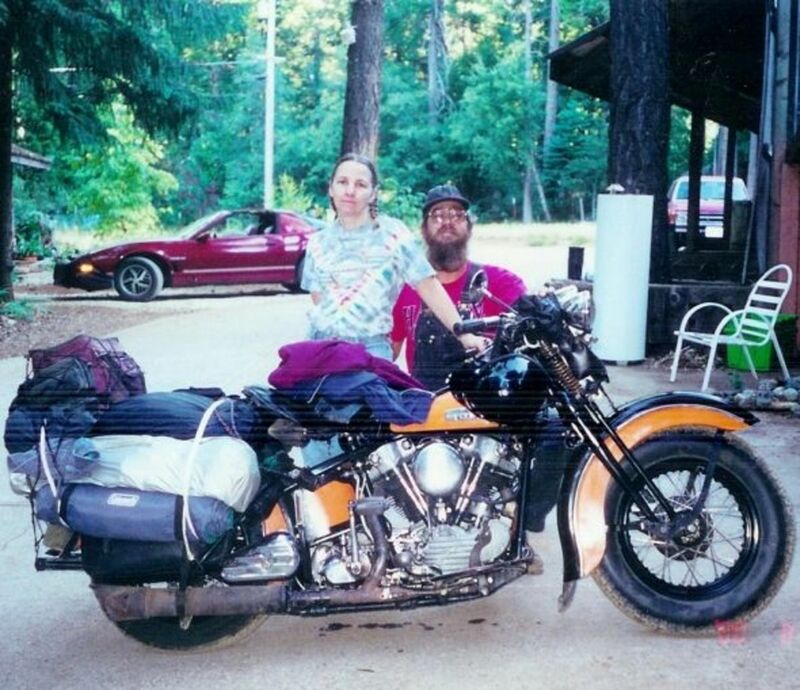 On one of our first camping trips, we only used blankets. We couldn’t sleep, because they didn’t keep us warm enough. I still bring blankets for my husband and I to wrap ourselves in when we sit by the fire as the stars come out, though. Pillows are also a must have if you have any sort of neck problem. You will be able to sleep without one, but they’re still very nice to have. If you’d like some more padding than what the ground can provide, pick up an air mattress. These are easy to fill, especially if you have a battery operated pump, and can fold into portable shapes. Some come with a fabric carrying case built into them. Another option is to use a roll-up sleeping pad. This bed is very easy to fold up and carry. It's great for company, too. This is the model we own. It's easy to use and serves us very well. Big Tent or Small Tent? Unless your sleeping bag comes with a netted enclosure over the top, you’ll need to find a way to avoid being eaten alive by bugs as you sleep. 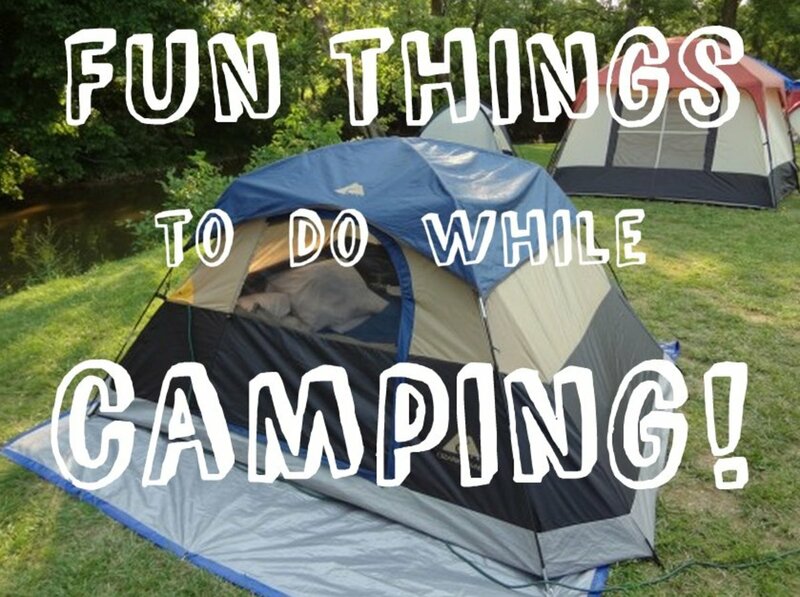 Many campgrounds have cabins available for rent, and RVs are great portable mini-homes, but the majority of campers use tents. Tents come in many sizes. 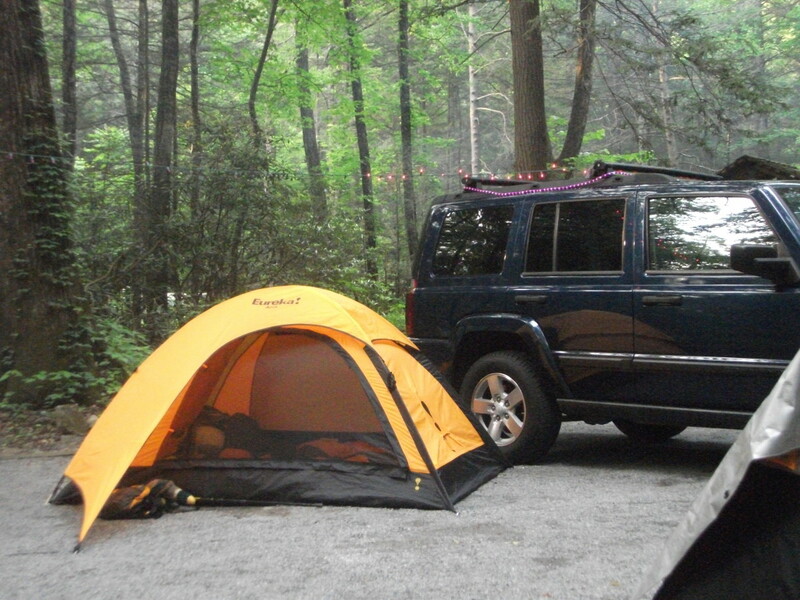 Some are small enough to take with you on a hike, while bigger tents can sleep up to six or eight people. 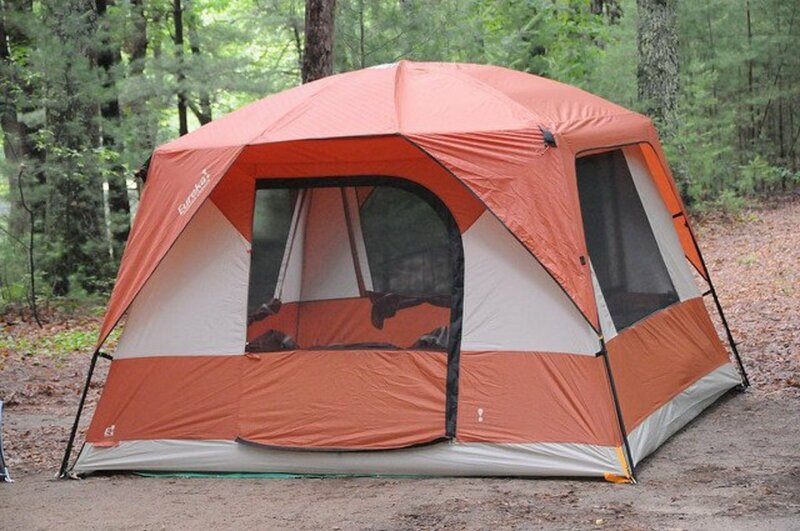 When buying a tent, always look for square footage as well as how many people it’s designed to accommodate. For example, our tent is supposed to fit six people, but that’s only if they’re packed closely together. In reality, only four full grown adults can sleep comfortably in it. There’s an impressive variety of tents available, as well. Pop up tents are very easy to erect, but are often on the smaller size. A cabin tent, which is what we currently own, is a little trickier to put together. How many people will be sleeping in it? Does it matter how easy it is to put up? What kind of camping will you be doing? If you won’t have a single site to return to every night, you’ll want a lighter-weight, more compact tent that is easy to put up and take down. 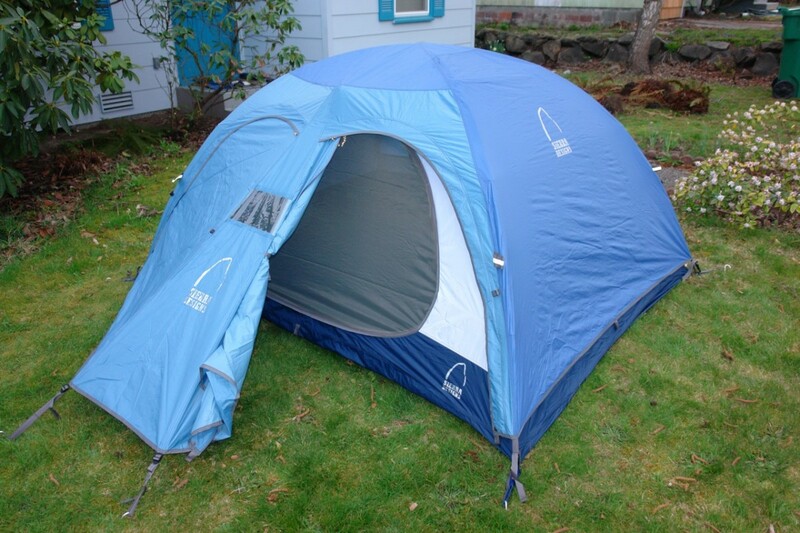 Although some tents can get pretty expensive, high quality models will last for years, and will require minimal care. Ours is well over ten years old, and still works well enough. 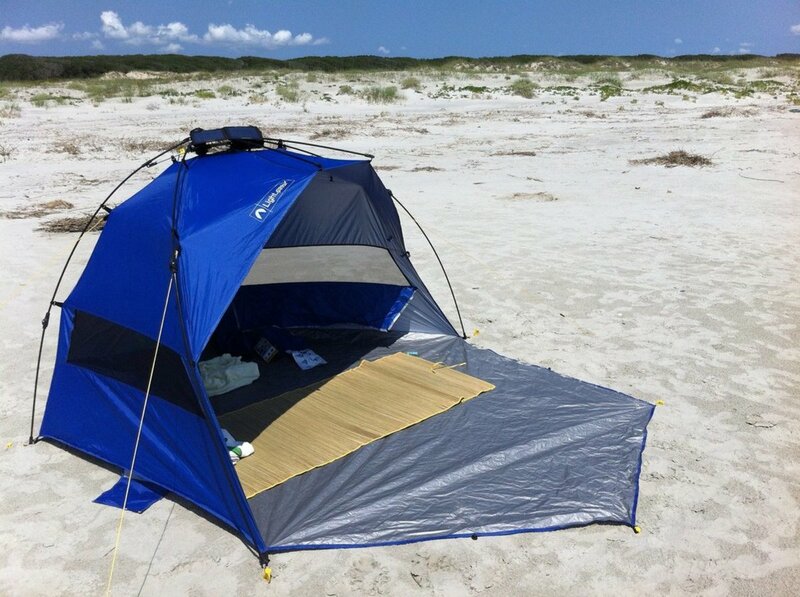 Remember to check your tent a week before going on your trip for any tears or holes. You may be able to mend some of them, but you don’t want to be surprised by damage when you get on site. Unless you’re already adept at starting a fire without them, bring a lighter or matches to start your camp fire. We use old newspaper and junk mail without plastic envelope windows or coating as kindling, but some places let you collect kindling from the surroundings. 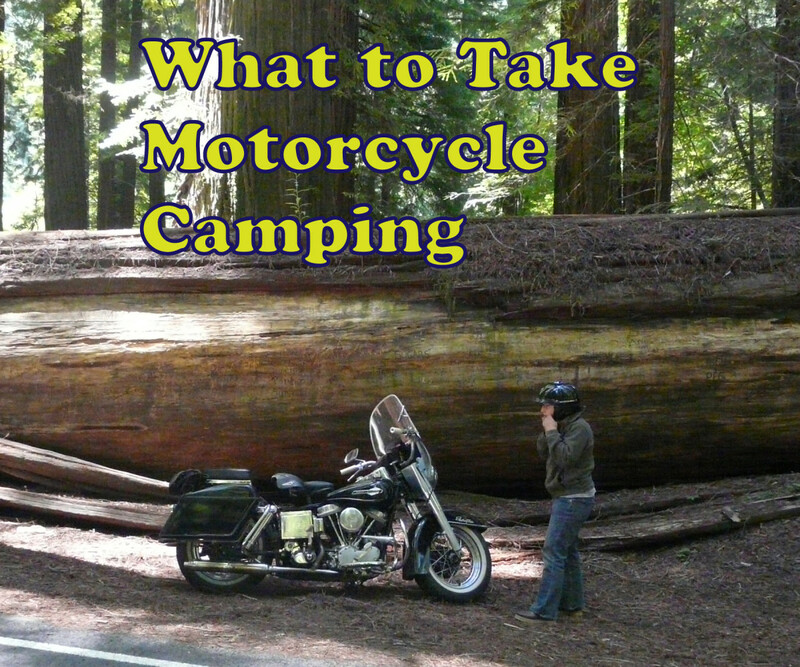 Always buy your firewood at a place local to where you’ll be camping. Some states have laws against transporting firewood from one city to another, due to disease or infestation. Most camp sites have a designated area for fires, so you should always use those. They’re arranged to minimize the chances of your camp fire from getting out of control. 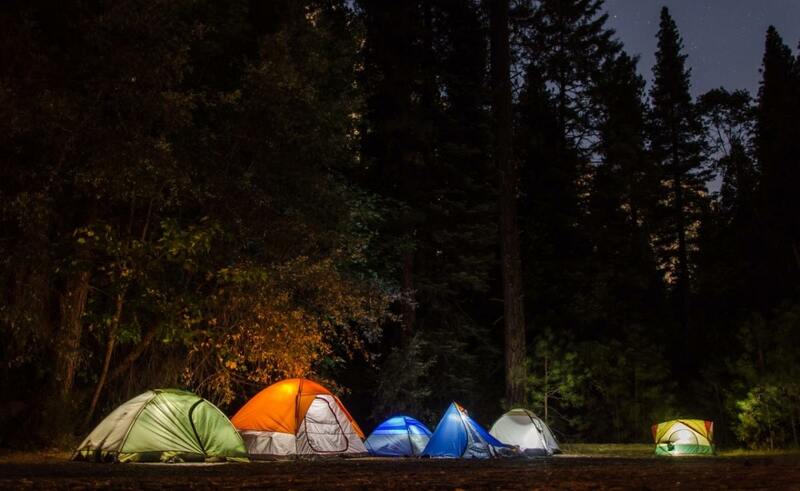 If you’re camping in unofficial places, educate yourself on fire safety before leaving. 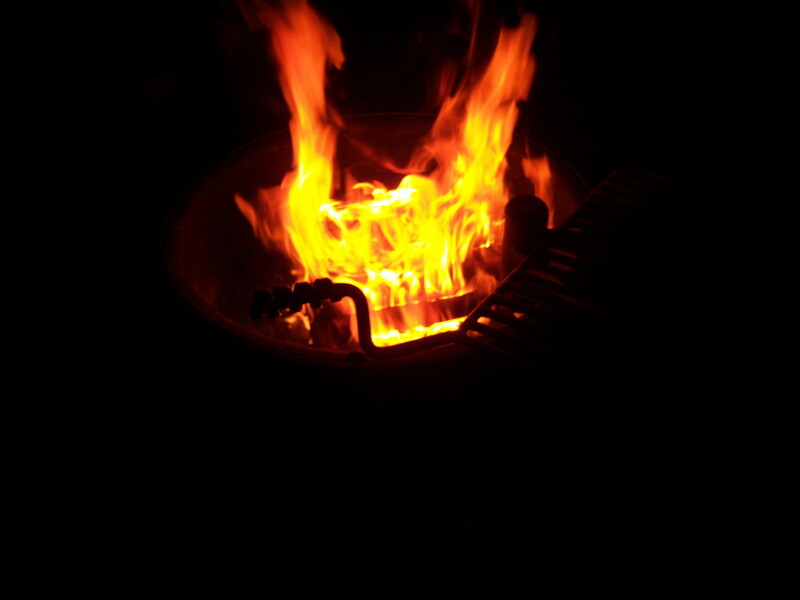 Before you go to bed, always stir the ashes to make sure the fire is out, and add a little water if you’re in doubt. One of the most fun things about camping is cooking over the camp fire. Of course there are s’mores and hot dogs, but if you bring foil, you can cook all sorts of other things in the fire as well, including veggies. If you’d rather go with something you’re a bit more used to, camping grills are available. Coleman makes a very nice one that works on propane, takes up very little space and is easy to clean. Don’t forget dried fruit and trail mix for when you’re on the go. Bananas also travel well, and sandwiches work for a quick lunch when you take a break from hiking. Most importantly, bring lots of water. You can buy large packs of bottled water from any grocery store, but if you’d like to save some plastic, bring a large, reusable water bottle or two with you, and a large container of water to keep at the camp. Refill your bottle(s) before leaving for your daytime shenanigans, and sip throughout the day. Most camp sites provide taps to refill your water container. However, their water doesn’t always taste very good. If you don’t trust it, save the water you bring along for drinking and use the campground water for washing. You can also boil the camp water, as well. It may also be worth investing in a water bottle with a built in filter. That way, you can always have filtered water without needing to buy it from a store first. There’s nothing stopping you from bringing soda or fruit juice, but those options don’t hydrate nearly as well as regular water does. If you bring perishables with you, a cooler with ice is a must have. Our trips are usually around 4 days, and our cooler stays cold that entire time. Never leave food out, either. It’s also wise to bring garbage bags for waste. Unless you bring it to the dumpsters provided every night, stow your trash in an area wildlife can’t get to. You may want to bring separate bags for recycling, since many sites encourage bottle and can recycling. I advise taking a cell phone with you, preferably one that gets some sort or reception, in case something happens which requires help in a remote area. Keep it turned off to save the battery life, and allow yourself to fully enjoy yourself. I include insect repellant in this section, because some insects carry nasty diseases. Some breeds of mosquitoes carry West Nile Virus and some deer ticks carry Lyme disease. Check yourself regularly for deer ticks, as well. Even if the repellant is rated for them, it’s still possible for one to latch on. If you do find one already attached, remove it as soon as possible, watch for symptoms and get to a doctor to get tested if you spot any. If you’re going to be hiking or camping in an area with bears, educate yourself on what to do if one shows up. If there have been a lot of sightings, buying bear spray and learning how to use it would be a good idea. Always educate yourself on potentially dangerous animals in the area before leaving home and plan accordingly. While the above sections are mostly a mix of necessity or luxury, if you’re camping in an area without access to toilets or outhouses, carry biodegradable toilet paper and a spade to bury your waste with. 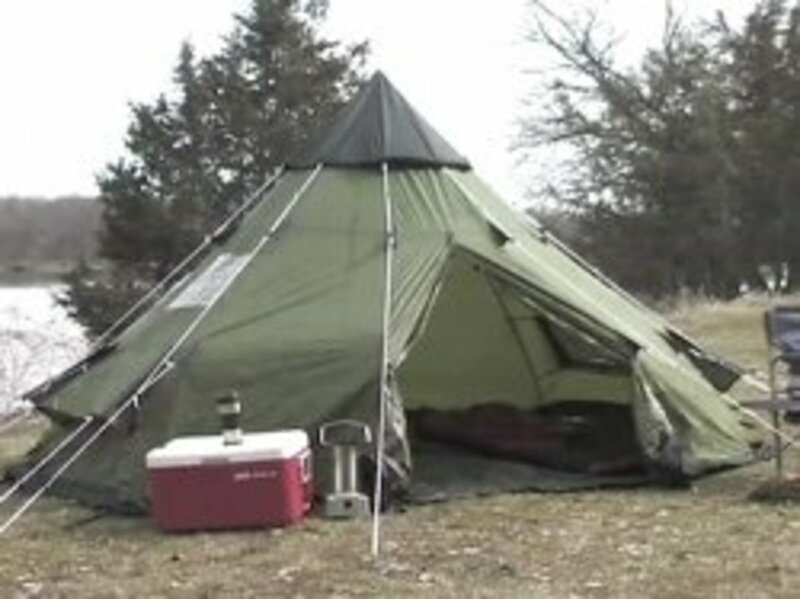 You can also bring a small telescope to look at the skies with, portable hammock with built in bug net or outdoor games for the kids to play with. One of the beauties of camping is that we each make it what we want it to be. If you’re interested in minimal luxury, think about what you absolutely require to survive, but there’s no reason why you need to avoid taking a few extra things to enjoy on your minivacation. I'd love to see Indonesia one day. It looks like a beautiful country. Thank You very much for all camping luxury tips. It helps me find more activities on my family journey. I've tried it and my sons is very happy with that. Make my camping moment is become colorful. Thank You. May you have an opportunity you can visit my place in Indonesia. Please check my website www.selarasadventureland.com for reference.